Thanks to Altadenablog reader Tom Kosakowski, we've just found out about Alan's War, a graphic novel by the French artist Emmanuel Guibert. 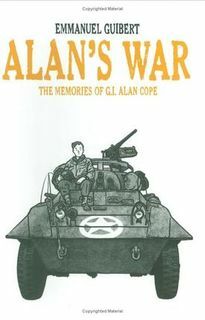 Guibert has illustrated the memoirs of Alan Cope, a soldier from the Pasadena/Altadena area who served in WWII. As a comic geek, what we've seen looks pretty good (our major geek credential is that we saved Stan Lee's seat for the debut showing of "Raiders of the Lost Ark"). Check it out!